Do you travel the bride & Grooms destination of choice for $75 or do the bride & broom travel to you at a certain designated location to preform the ceremony? Thanks for your comment and question. For the $75 quick ceremony, I am willing to drive most places in the Houston metro area. If it is outside the Houston city area, I will ask for an additional travel fee depending on how far away it is. I have done weddings as far away as Brenham. 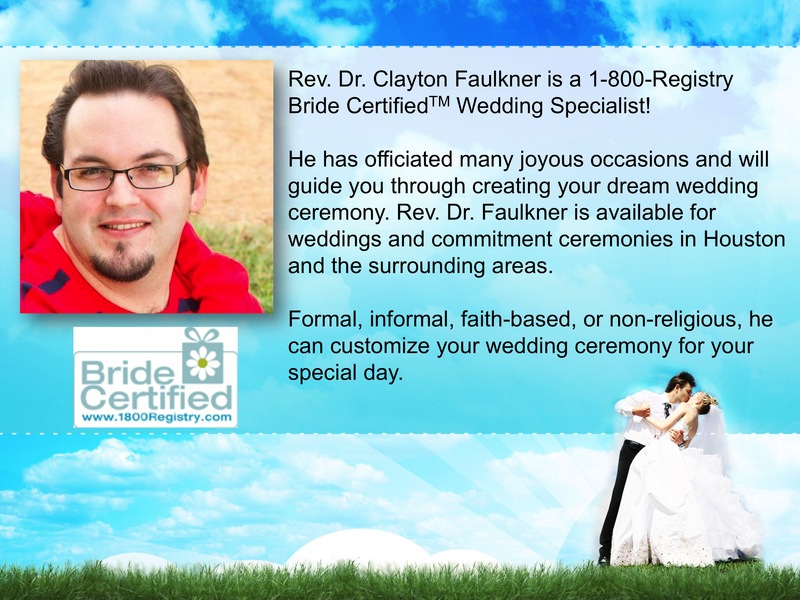 Additionally, if you’re not interested in a specific venue for your wedding, and want to have a private ceremony, I am happy to officiate in my office.